Signature Smiles of Richmond, VA believes in giving back to the Community. Below please find information on some of our favorite charities from around town! Dr. Hyder having dental students come in to shadow her. Dr. Hyder has had 7 previous students shadow and it’s something she’s very passionate about. 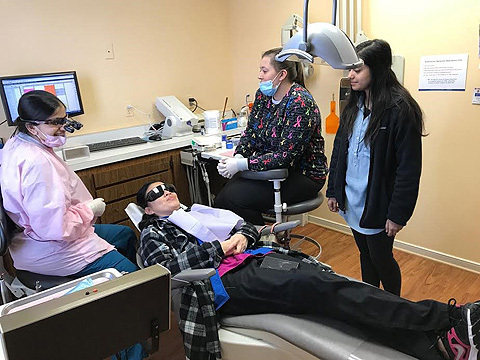 The picture features Dr. Hyder, Felicia, a patient, and VCU dental student, Manaeil Hasan. For those who prefer a tax deductible, monetary donation, each dollar will provide 5 meals. Checks should be made to “FeedMore” and note Signature Smiles in the memo section. 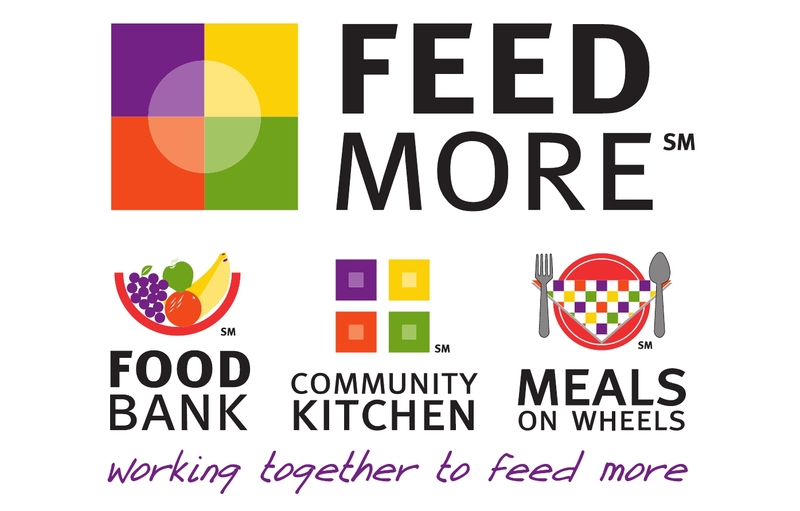 Online donations can be made at www.feedmore.org/donate; donors should note Signature Smiles under “credit this food drive”, so we can track the total donations at the end of the drive. We could never have accomplished the above without the generous support of the Central Virginia community which donated 1,337,155 pounds of food and the equivalent of 3,663,331 meals through community food & fund drives in one year. Thank you for joining Signature Smiles in our FeedMore efforts. Signature Smiles also lends support to a unique charitable organization called Change the World RVA. Carla Farris, RDH provided oral health exams and professional dental cleanings free of charge to the students. Signature Smiles also supports through material and monetary donations. Change the World RVA supports Richmond’s homeless high school students as they transition successfully to college and careers. In addition to helping students with basic needs, we encourage them to work for individual and social uplift, to “change the world.” We foster caring, supportive relationships between students and community members. • Support through the college years. In addition, we advocate for systemic change (i.e., expanded public transportation, affordable housing, quality education, accessible health care) and celebrate students’ success! Change the World RVA was originally established as a partnership between Bon Air and Westover Hills United Methodist Churches. It has grown to include Boulevard United Methodist Church, PACE Campus Ministry at VCU, and several additional congregations of multiple faiths as well as several community partners. Our main contact in the Richmond Public Schools is Alia Adlich (abutler3@richmond.k12.va.us), the McKenny-Vento Social Worker in the three high schools we serve: Armstrong, Huguenot, and George Wythe. For more information about Change the World RVA, contact Ms. Adlich, Natalie May (nbmay@verizon.net or 804-512-3208), Rev. Donna Holder (pastorwhumc@verizon.net), or Rev. Rachel May (rachelgenemay@gmail.com). We are organized into several teams: academic support & tutoring; mentoring; housing support & host families; food & hygiene pantries; fundraising; transportation; celebrations; and transition to college. We are a 501(c)(3) organization, and your donations are tax deductible. We need drivers, tutors, mentors, host homes, cooks, guest speakers for our Change the World curriculum, shoppers, and financial contributions. We need volunteers to serve on our various teams, including fundraising. Our biggest fundraising event is the Another Woman’s Treasure Bazaar – please donate new and gently used purses and jewelry throughout the year. You may like us on Facebook – http://www.facebook.com/wishesrva or you may join our email list by emailing changetheworldrva@verizon.net.